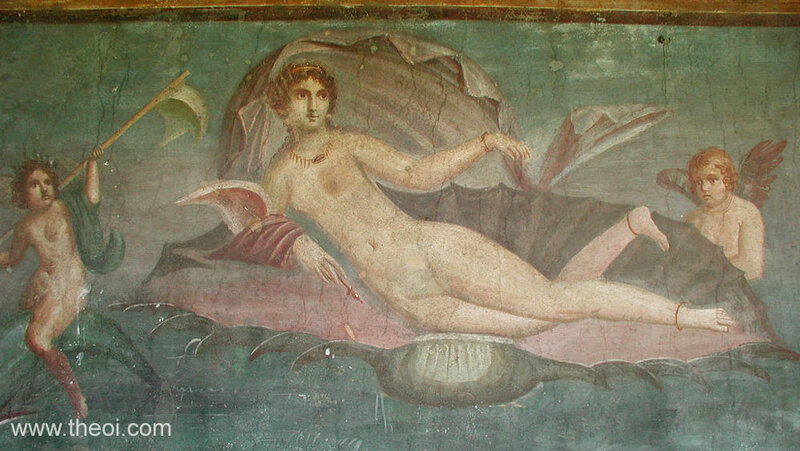 The goddess Aphrodite (Roman Venus) reclines in a cockle shell after her birth from the sea foam. She is accompanied the winged love-god Eros (Roman Cupid) and a Nereid-nymph riding a dolphin. The goddess wears a necklace, tiara-crown and billowing cloak.